In 2009, when Soho House founder Nick Jones asked for Jonathan's help in getting some art for his new restaurant on Dean Street in London, neither of them imagined that seven years later there would be over two thousand works on continuous display in ten cities around the world. Nick and Jonathan initiated a programme whereby the artists would sell the work and also receive membership to the clubs, encouraging a meeting place for like-minded individuals in an increasingly international artistic community. 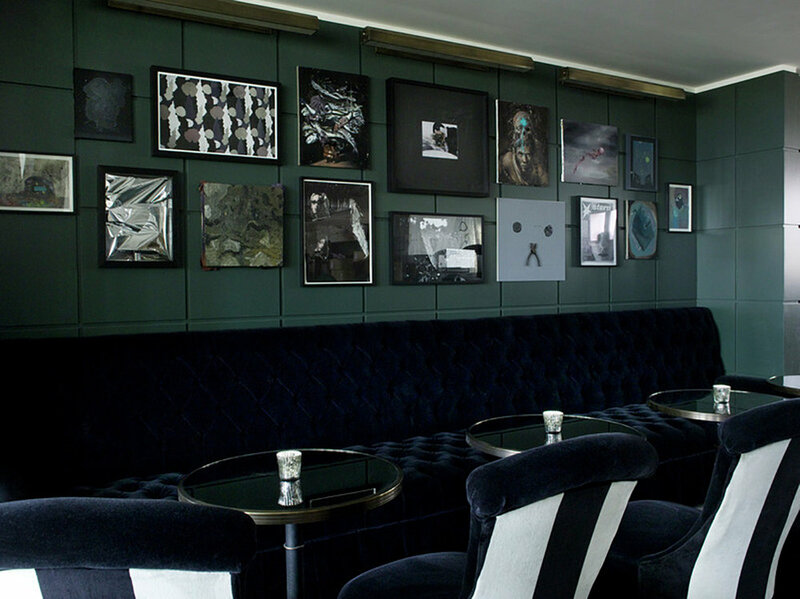 The Soho House Art Collection has become one of the biggest and diverse of it's kind anywhere in the world and includes works by artists such as Damien Hirst, John Baldessari, Tacita Dean, Tracey Emin, Oscar Murillo, Richard Prince and Harland Miller. It's still growing too and they have recently brought in Kate Bryan to take over from Francesca Gavin, who as Chief Curator has been instrumental in it's success so far. With new Houses opening soon in Barcelona, Mumbai, Amsterdam and downtown Los Angeles, we look forward to working with Kate and the team at Soho House to further expand it's art programme into new areas.